Christmas bookings in any of our villas or cabins made between December 22 and January 07 require a minimum four night stay. Easter bookings in any of our villas or cabins made between Good Friday and Easter Monday require a three night minimum stay. Our powered grassy sites have drinkable water, space for your van, annex and car to fit into one spot. Most have shade throughout the day as well as shade cloth or concrete slabs and all are within a short walk to one of our 3 amenities blocks. Please note: For Powered Sites, pet friendly excludes easter and christmas period. 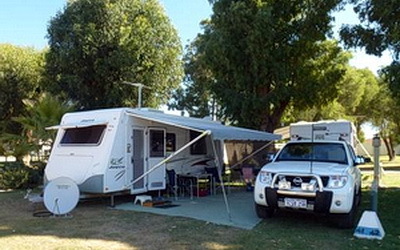 Our large unpowered grassy caravan or tent sites are flat and give you space between those camping next to you. 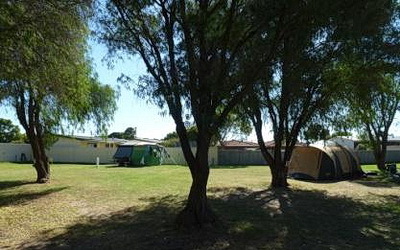 All are within a short walk to one of our 3 amenities blocks including camp kitchen and BBQ area's. Please note: For Unpowered Sites, pet friendly excludes easter and christmas period. 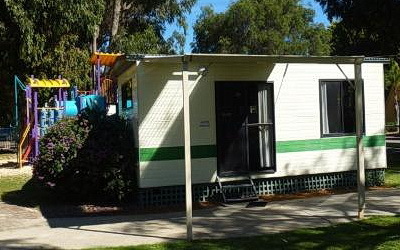 Our Budget cabins can sleep up to 6 people combining a double bed and up to 4 bunk beds. 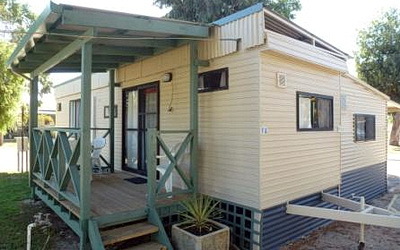 The cabins are equipped with a fridge, small oven/hotplate, microwave and cutlery. 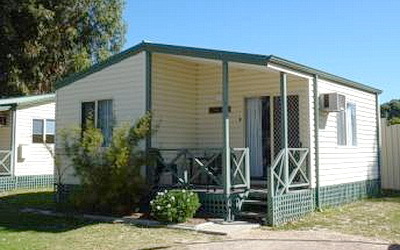 Your own linen is required and the toilets and showers are within a few metres walk. Our en-suite cabins are our completely self contained cabins with an en-suite bathroom and shower. We provide everything for the double bed including linen and towels and also your cooking and dining items. 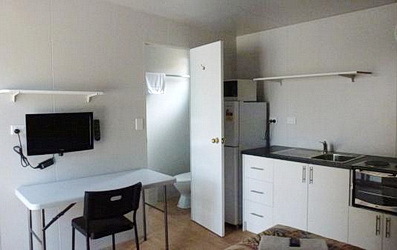 You have a private fridge/freezer, oven/hotplate, microwave and TV. Our newest Accommodation offering which is ideal for a couple who want an en-suite cabin and all of the services but without the cost of a villa. We provide everything including linen and towels, TV, cutlery and cooking facilities including a oven/hotplate and your own private en-suite bathroom. Separate bathroom with shower and toilet. Our fully self contained apartment is like home from home. 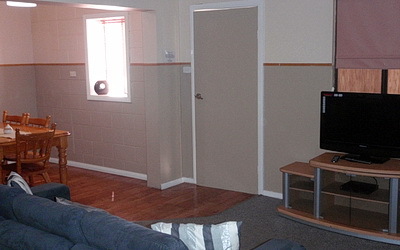 It offers 2 double bedrooms, lounge and dining areas and a fully provided separate kitchen area. 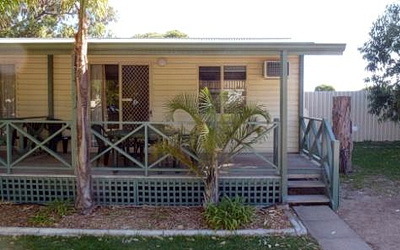 It has a small private garden and is ideal for a private family holiday. We DO NOT give refunds if you decide to cut short your reservation or holiday. Please note minimum booking periods apply at all holiday times. Tariffs are subject to change without notice. Please phone or email for latest prices current for your dates of stay. Explore the Recherche Archipelago with Esperance Island Cruises on the MV "Southern Niche', stopping off at Woody Island for morning tea or for overnight accommodation at the this eco tourism retreat. Dalyup River Wines, is the only winery in the Esperance region, and the most isolated in Western Australia. Dalyup River Wines opens on weekends only, and offers a range of red and white wines for tasting.